Xalupa’s cattery dedicates to the breed of British Shorthair cats, is located in Peseux - Neuchâtel - Switzerland and is registrated in Société Feline Neuchâtel Jura - Federation Feline Helvetique. Xalupa is a tribute to our first cat, which for being so playfull, curious and sassy, we always affectionately called her “Xalupa cat”. She is responsable for our passion with cats, especially the British shorthair breed, so she deserves a prominent role that shows the significance that she has and will always have in our lives. British shorthair are cats, friends, faithfull companions and intelligent, with a fascinating temper that “cling on to us” everyday that we spend right next to them. In a calm and familiar environment, we create cats that are part of our family so that one day they could make part of your family too. O Gatil da Xalupa dedica-se à criação de gatos da raça British Shorthair, situa-se na Peseux - Neuchâtel - Suíça e encontra-se registado na Société Feline Neuchâtel Jura - Federation Feline Helvetique.  Xalupa é uma homenagem à nossa primeira gata, que pelo facto de ser tão brincalhona, curiosa e atrevida, carinhosamente sempre a chamamos de “gata Xalupa”. Ela é a responsável pela nossa paixão por gatos, especialmente pela raça British Shorthair, por isso, merece um papel de destaque que evidencie a importância que tem e sempre terá nas nossas vidas.